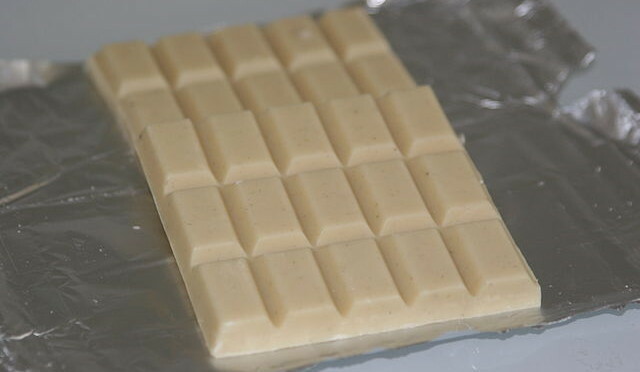 candy Archives | Food blog! If you thought that noone made candy flavored like alcohol (specifically flavored like champagne) then you’re wrong! As it turns out, candy makers are trying to add new and exciting flavors to entice people to try their sugary sweets, and champagne is making the list in more than just one or two popular candies! 1. Jelly Belly Jelly Beans – The makers of gourmet jelly beans have a fun flavor that they want you to try – “Champagne Bubbles”! Jelly Belly confirms that there is no alcohol in these Jelly Beans, but that it does taste like champagne. People that have tried the jelly beans say that it has a sweet pleasant flavor reminiscent of the alcoholic treat it’s named after. It is a popular jelly bean to have during the holidays or to give as wedding favors. 2. Champagne Flavored Gummy Bears – You can find at least one gourmet candy shop that sells beautiful pastel-colored gummy bears which are said to have the delicate flavor of French Champagne – there are two choices to choose from including Brut and Rose. 3. 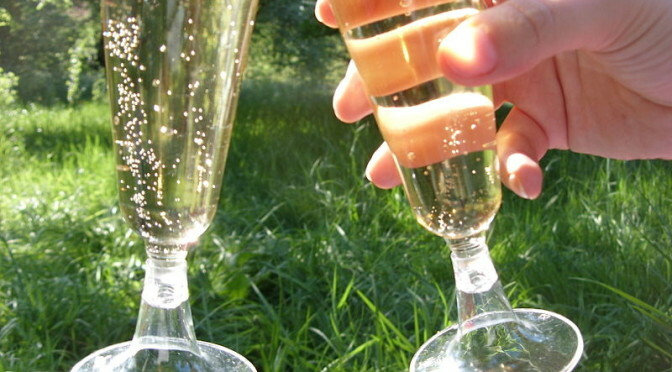 Gumdrops – Another popular candy that comes in champagne flavor are gumdrops! There are various online boutiques that sell this treat, giving you multiple choices! 4. Truffles – I wouldn’t necessarily consider truffles a “candy” 😉 however for those who do, you can find champagne flavored truffles – a perfect choice for Valentine’s Day or any other romantic occassion! Williams Sonoma sells a good choice which mixes the flavors of cocoa with champagne cognac in a rich chocolaty ganache. 5. Lollipops – There are a number of small boutique shops online where you can find champagne-flavored lollipops, which are considered a “gourmet treat” – most of them are on Etsy, however you the Melville Candy Company does sell some as well. 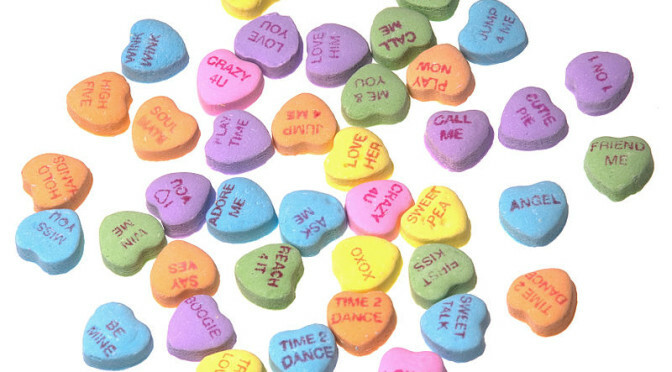 A favorite Valentine’s Day treat are the candy hearts called “Sweethearts”. You may remember them from your childhood – they come in a simple cardboard box filled with heart-shaped candies emblazoned with cute “Valentine’s Day themed” sayings. What you may or my not know is that there are actually several variety of Sweethearts – so many flavors that there is enough variety to satisfy any taste! You might be surprised to find out that there are actually chocolate candy sweethearts! These candies come in the same heart shape with the same sweet sayings on the front, but they are actually chocolate flavored! !